Do you have a tough time planning and even managing your time? 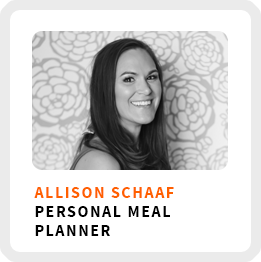 Allison Schaaf is going to show you want you can learn about time management from your meal preparation. Seriously! She’s a personal chef based in Austin, TX. About 5 years ago she wanted more location independence and wanted to figure out how to make more passive income from her business. She decided to turn the meal preparation system she sued for managing her clients into a business called Prep Dish. When you become a subscriber Allison has done all of the meal planning most of us never find the time to do. She creates the grocery list and the recipes to go along with it! Currently, she has 4,000 paying subscribers. The nitty-gritty of how Allison turned her meal preparation system into a passive income opportunity. Her most important advice on planning is to start small. How to increase your productivity through”task chunking” and “time chunking”. Wake up time: Around 6:30 or 7:00 am. Core work activities + habits: 1) Regular touch points and communication with the team. 2) Knowing what she’s focusing on at the time and making sure she does that each morning. 3) Meditating twice a day. Superpower: Giving people the tools to get healthy meals on the table. Definition of success: Helping people with healthy meals and having the freedom and lifestyle she wants to be able to spend time with family and traveling. Regains focus by: Forcing herself to step away from the computer, and maybe going for a walk. 90-day goal: Focusing on their meal prep challenges. 1) Know your customer. Focus closely on your audience to address their needs more directly. 2) Don’t be afraid to niche down to address even more specific needs.